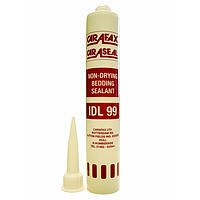 Carafax IDL or Hodgson Seamseal CV. 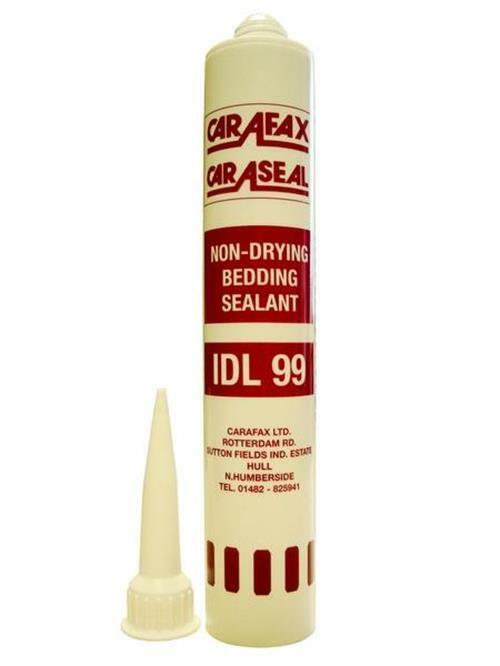 A budget price non-drying bedding sealant. White. boats, freight containers and transport vehicles. into the joint ensuring good contact with surfaces. Curing: Seamseal CV cures by evaporation of solvent. Full cure normally occurs in 2-4 days. Rate of cure will depend on thickness, ambient temperature, joint size and design. Lower temperatures and drier conditions will result in a slower rate of cure. 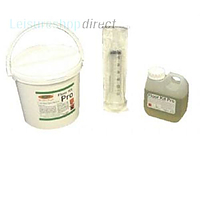 Priming: Primers are not normally required for good adhesion to most metals. Shelf life: 12 months when stored in cool, dry conditions. Skinning time: Does not skin. The surface of the sealant will appear dry to the touch after several days but will remain pliable beneath the surface. Working time: Approximately 20 minutes. PLEASE NOTE THE DATE ON THE SEALANT IS DATE OF MANUFACTURE NOT EXPIRY DATE THIS PRODUCT IS GOOD FOR 1 YEAR FROM THIS DATE. 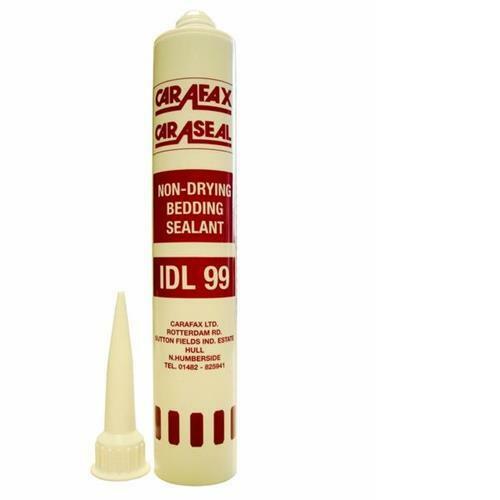 High performance bedding sealant with a solvented release curing system. Good adhesion to a wide variety of surfaces, especially coated metals. Easy to tool and clean off using Hodgson’s Caravan Sealant Cleaner. Good performance in low movement joints. This is a straightforward job providing a non setting sealant was used during manufacture. Once the fixing screws have been removed then the frame should lift away from the roof of the vehicle. The ease with which it lifts will depend upon the sealant used. We recommend using a non setting sealant when replacing such as our ref. 205932. The old sealant will need to be removed with a chisel type tool. The rubber seal should not need replacing unless it is cracked. 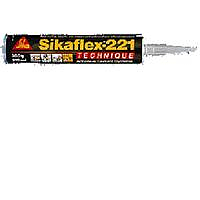 We would normally use a non setting mastic such as the Carafax IDL. Yes you can but it is not easy to remove should you need to change the rooflight in the future, We normally use a non setting mastic such as Carafax IDL. What is there to say about a sealant? It does what it says. This Hodgson Mastic Non-Setting Caravan Sealant was easy to apply and went on where I wanted it to thanks to the nozzle - some nozzles are too big, but not this one. 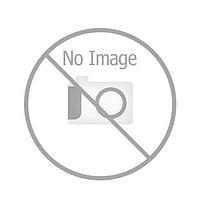 I was very pleased with the price and it was an excellent purchase. My only concern will be its longevity, but that is something I can only wait and see on that. Bought this to seal shower and sink. Expected smaller tube in 2 aspects, I misread ad' had to borrow industrial sized gun, but will come in handy again. Just the job. 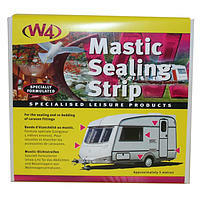 Ideal product for sealing around components that penetrate the shell of the caravan. 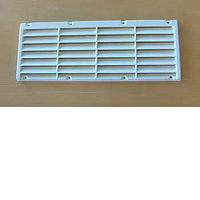 I used it on a replacement water housing and around the fridge vents. The component can be removed and repositioned. The cartridge is about 20mm longer than the standard DIY cartidge. I had to chop 20mm off the tube to be able to fit it into my DIY dispenser. 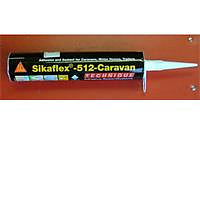 this is an excellent product and gives a very good seal on all joints bought the Carafax sealant to reseal joints on motorhome panels, and find it easy to use. The carafax sealant arrived quickly and was put to good use when i fitted a new vent in my van. The sealant consistency is excellent and the screws pulled down nicely to allow the sealant to do it's job. This is incredible value sealant which made a refreshing change. all though I have not yet used these tubes of sealer I have in the past and find them very good, one tip is to put the tube in a bowl of hot water as in cold weather there harder to squeeze in the gun. It does what it says on the tube. recommended to me. Good product - does what it says. Excellent it "does what it says on the tin". The winter has taken its toll, and I hope this sealant will prevent a recurrence. Great product. 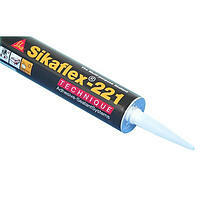 Makes all rooflights, etc totally waterproof and keeps its form and doesnt dry out. Hightly recommended. This stuff is really what is needed to ensure that no water ingress happens after fitting things like an external barbecue point. Coupled with the good service and fast delivery what more coul you need.